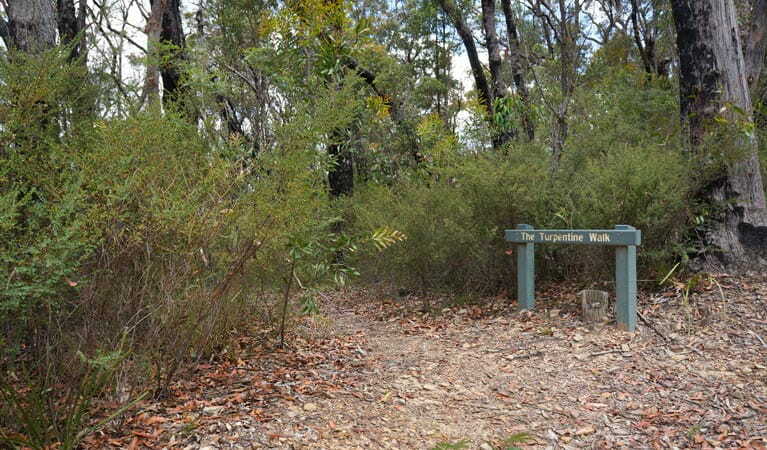 Murphys Glen campground, near Woodford, offers walking and birdwatching. It's the perfect nature getaway if you have a 4WD and want to spend a weekend in Blue Mountains National Park. This is a remote campground, please arrive well prepared. Check conditions before you set out. While 2WD vehicles can access this campground, a 4WD is recommended, especially after rain. 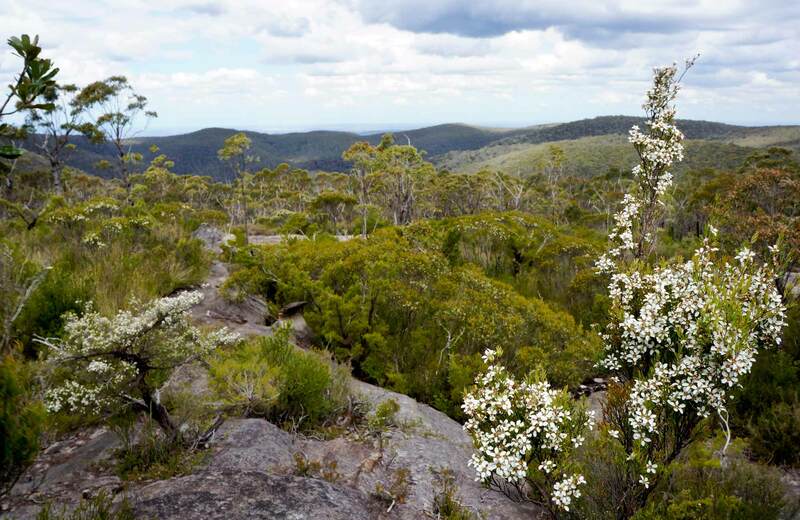 When it's time to swap the noise of the city for the sounds of the bush, pack up the car and head for Blue Mountains National Park. 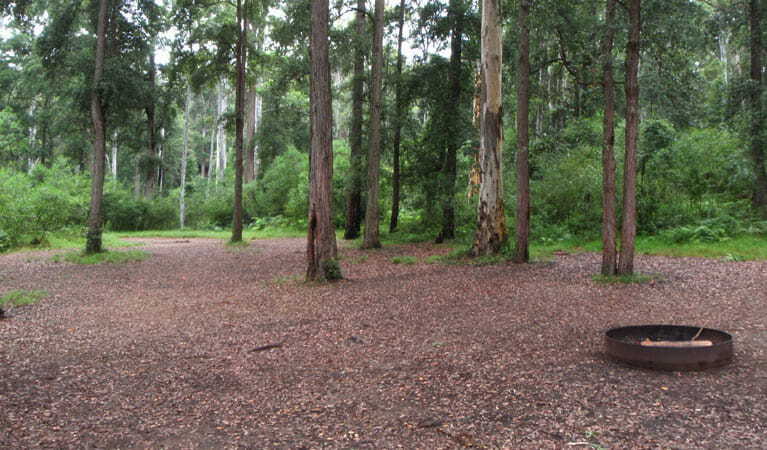 Rustic Murphys Glen campground, only a short drive from Sydney along the Woodford Station to Murphys Glen 4WD trail, is the perfect getaway for independent campers who like to escape the city for a weekend. Pitch the tent among the tall forest of blue gums and towering turpentines that surround this campsite. There's space for family and friends at this spacious campground. 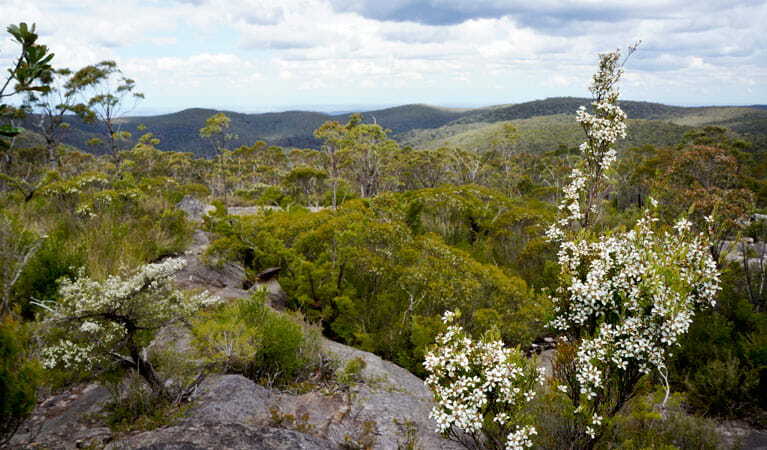 When you're ready to explore, a short walking track will take you to several small pools, and another leads to Murphys lookout. As the shadows lengthen, cook up a feast around the campfire and watch the night sky fill with stars. Enjoy the sounds of the local nightlife with possums, sugar gliders and bats making a delightful racket. Take a virtual tour of Murphys Glen campground captured with Google Street View Trekker.